VILLAS AND APARTMENTS TO RENT IN FLORENCE, ITALY. 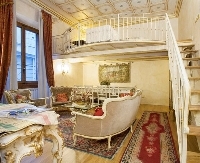 Welcome to our selection of holiday homes to rent in Florence, Italy. The city of Florence, known as Firenze in Italian, is the capital of the region of Tuscany and one of the most visited cities in the whole country. Whether your interest is art, history or fine food and wine there will be something for you in Florence. Even the surrounding countryside is ideal for hikers and cyclists, while there are plenty of local vineyards producing Chianti and other Tuscan wines that you can visit and sample the latest vintage. Home to a wide and varied collection of historic attractions, it would take several days to explore all of Florence's historic buildings. From the Ponte Vecchio, with its medieval stores either side of the footpath, to the Piazza Signoria, where the administrative centre of the city is, the Palazzo Vecchio, can be seen, to the Duomo, Florence's stunning and imposing cathedral, every street offers another beautiful and unexpected slice of history. Alongside the Duomo is the Campanile or watchtower; climb the steps if you have the energy to enjoy a fantastic view over the city. The Capelle Medici, the private church of the family who ruled Florence for generations, is decorated with expensive paintings and marbles sculptures by Michelangelo, while the Piazza della Repubblica, next to the medieval marketplace, is an ideal spot to relax in the evening sunshine with a glass of Tuscan wine watching the well-dressed Florentines passing by. Florence is home to one of the most famous art galleries in the world; the Uffizi. Here you can see works by Italian artists such as Botticelli, Leonardo da Vinci, Donatello, Michelangelo, Raffaello, Tiziano and Caravaggio, all from the collection of the Medici family. The Galleria dell' Accademia was specially built to house Michelangelo�s masterpiece, David, which dominates the building no matter which way you turn. The museum of the Palazzo Pitti doesn't just feature works of art, but also ceramics, costumes and jewellery that belonged to members of the influential Medici clan. Florence was also the home town of Dante, writer of the Divine Comedy, and his home is now a museum dedicated to his life and works, while the Museo Galileo commemorates another famous Italian; the highlights of its collection is the middle finger of the great scientist. If you find you need some fresh air after all this culture, Florence is home to several public parks and gardens such as the Giardino Bardini, an Italian Renaissance garden, and the Giardino Boboli, which offers a breathtaking panoramic view of the city for those with the energy to climb to its upper reaches. Looking for self catering holiday accommodation in Florence? 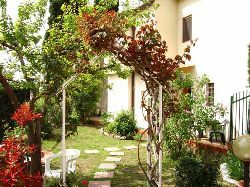 Then below is a selection of Apartments in Florence and villas in Florence that can be rented direct from their owners. You can either click on each listing for further details or you can use our search engine on the left if you are looking for something in particular.